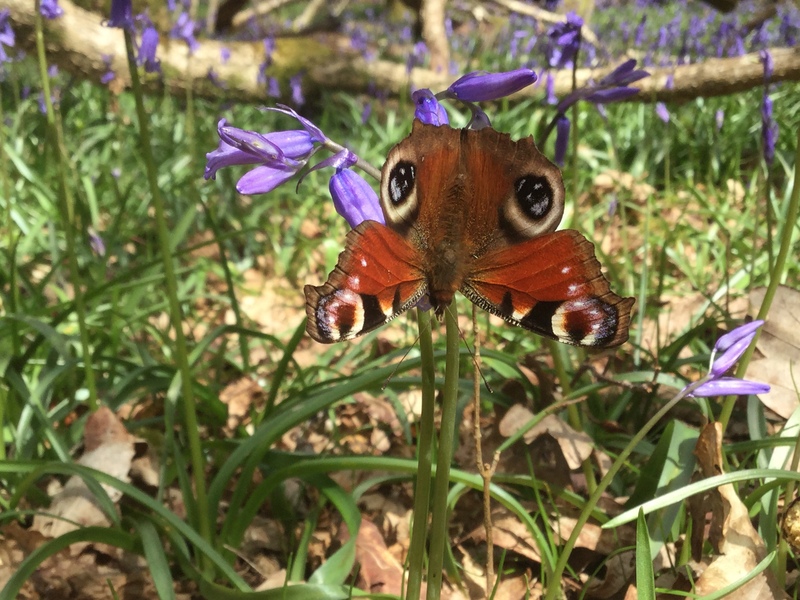 This is the first butterfly in the wood this year. A peacock. It is turned upside down so it can feed on the bluebells. See how it looks like an owl when it is upside down?! They are just brilliant aren’t they!